Grabau International is delighted to announce the listing of the 1992 Baltic Yachts 58 / 59 Custom ‘AKOYA’. Originally launched for a serial Baltic owner, AKOYA is one of just four Sparkman & Stephens Baltic 58’s, although in the quest for improved deck space and stowage, she was extended at build to create a Baltic 59 Custom design. Extensively cruised in her original ownership, she finished 1st in class in the 2007 ARC, 3rd at the 2005 Baltic Cup and 2nd in the 1993 Fastnet. AKOYA is not a slow boat by any measure! Extensively refitted by her current owners in 2013, she benefitted from fitment of a new 14mm teak deck, new topsides, and rig paint and a whole host of other upgrades and replacements. 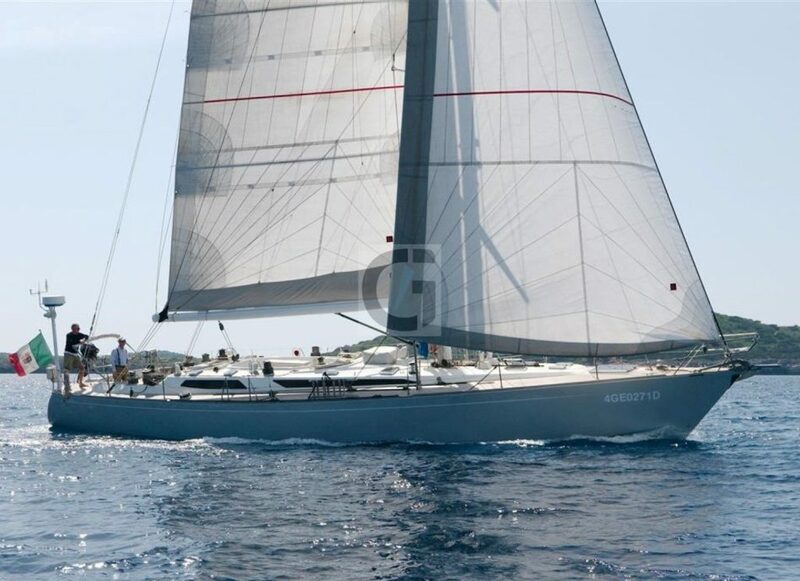 Since then, she has been lightly cruised around the Mediterranean and very well maintained by her experienced owner. This model represented the third serial production model cooperation with Sparkman & Stephens and followed the same philosophy as the previous Baltic 64 and Baltic 52. Although the racing scene had moved more into the empty flat-out sailing machines, our 58 proved that the Baltic Yacht concept of building the yachts light, even when equipped with a comfortable interior, made a product that still could compete in races and at the same time offer very comfortable and safe family cruising.